There are still reports streaming in from the graphics news sites about NAB. 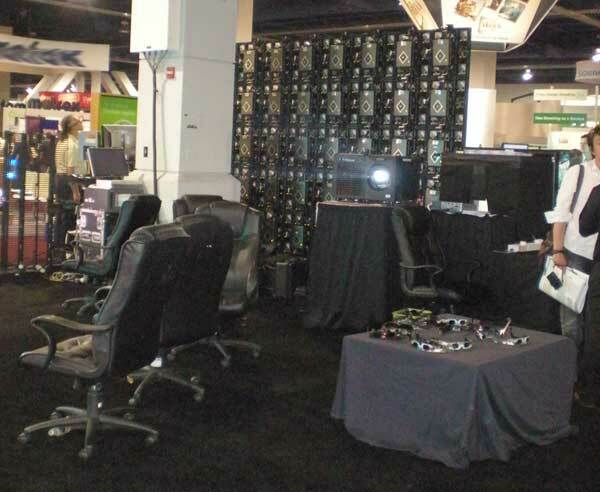 You can get great back coverage on Studiodaily.com by clicking from their NAB blog summary pages. 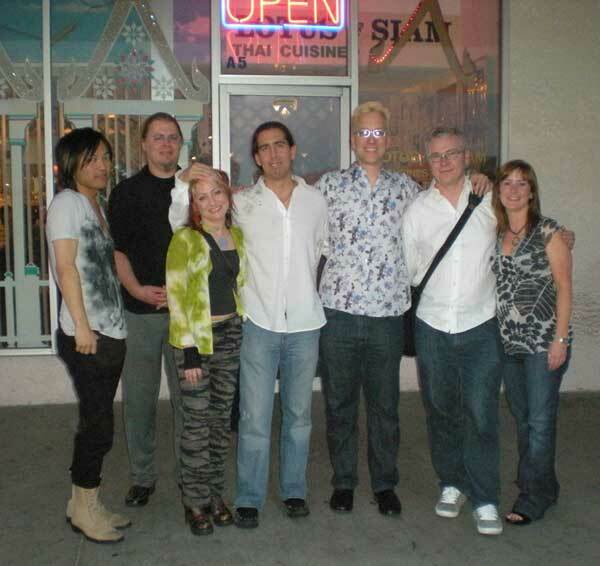 In particular, I like Debra Kaufman’s posts called ‘Future Buzz at NAB‘ and and ‘Some Final Thoughts‘. 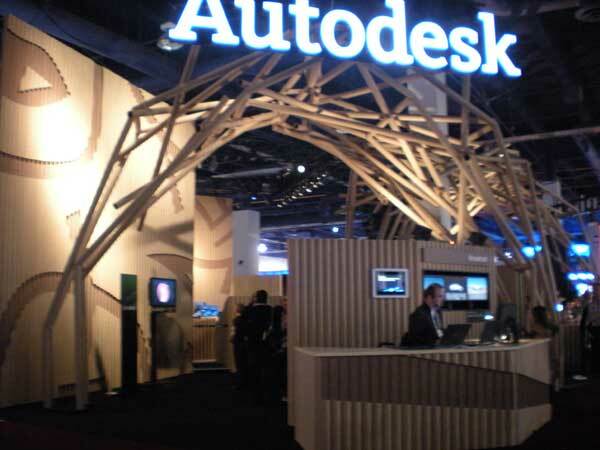 My favorite booth design was by Autodesk. The booth was interesting looking and used a green concept. 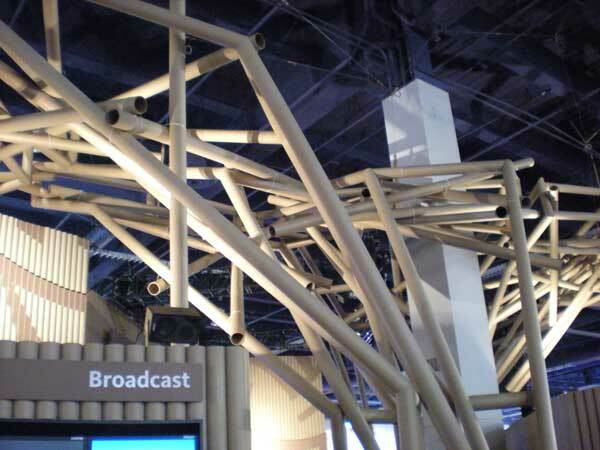 They took cardboard rolls, the big long thin kind that come inside carpets perhaps, and used that build a bamboo like structure. Very cool. – One was figuring out the delivery of video streams across the internet. – A second was better, smarter media management and image acquisition. – Perhaps the third was more powerful, high speed digital cameras. The line between still images and video continues to get blurrier. – And 3D. Lots of it. Not sure how these technologies, like a huge monitor that displays images in 3D, have the ability to monetize, but the ideas are cool. Personally, my favorite thing at NAB (and the IBC show in Amsterdam) is the big broadcast booths with their full-service weather software/hardware combos. Maybe this is because I had a year-long infatuation with the Weather Channel when it first launched years ago. 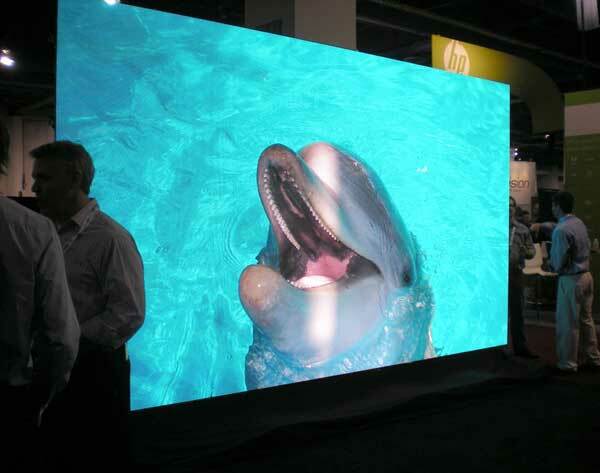 I also love seeing the booths that show high end large format video screens, the kind that is used in stadiums, like this monitor display by Wagner Media. People were also buzzing about show attendance levels. It seemed like there were fewer attendees, maybe 10-20% less, but I saw many booths that were packed or working briskly. Word on the Vegas street was that the people who did come to NAB were the ones who tend to buy, not just window shop. And those are the people that NAB vendors love! Previous PostiLike iStock, mostly.Next PostSilverlight & other streams.